Friedreich’s ataxia is an inherited disease that causes damage to the nervous system and a loss of coordination that typically progresses to muscle weakness. It can begin causing symptoms in childhood or early adulthood and, over time, it can also lead to vision loss and diabetes. Scientists seeking a better understanding of the disease have tried for years to replicate the disease’s symptoms and progression in laboratory mice, but until recently have been largely unsuccessful. 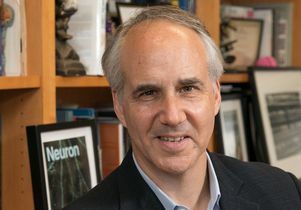 Now, a team of UCLA researchers has recreated aspects of Friedreich’s ataxia in mice and shown that many early symptoms of the disease are completely reversible when the genetic defect linked to the ataxia is reversed. The findings appear in the journal eLife. The results, however, need to be replicated in humans before researchers know whether they can lead to new therapeutics for people with Friedreich’s ataxia. Friedreich’s ataxia is known to be caused by a genetic mutation in a gene called FXN. The mutation leads to reduced levels of frataxin, the protein encoded by FXN. Although doctors can manage some of the symptoms, there are no treatments for the disease. Geschwind and colleagues developed mice in which the FXN gene can be blocked by a strand of RNA that’s controlled by an antibiotic. Higher levels of the antibiotic lead to more blockage of the gene, and therefore lower levels of frataxin. The approach allowed the researchers to have tight control over frataxin levels throughout the mice’s lives, letting them develop normally for three months before administering the antibiotic to turn down their frataxin levels. After 12 weeks with low frataxin levels, the study found, mice have symptoms similar to those seen in humans with the disease, including weight loss; the loss of coordination, or ataxia; impaired walking; hunched backs; and reduced muscular strength. When the researchers stopped administering the antibiotics, frataxin levels returned to normal, and most of the symptoms disappeared. While most scientists believed that the symptoms of Friedrich’s ataxia were mostly due to the death of brain cells, the study’s findings suggest that many of the initial symptoms — at least in mice — are due to reversible cellular changes that precede cell death. The researchers also found other genes and proteins that are immediately affected by reductions in frataxin — information that could help identify new targets for drugs to treat the disease. They hope to continue this line of work, studying the biochemical changes that occur in conjunction with Friedreich’s ataxia. They’re also sharing the strain of mice they developed with academic and commercial laboratories that are already pursuing drugs that aim to increase frataxin levels in human patients. In these cases, the new mouse model can be used to test the effectiveness of the drugs. “Going forward, this model provides an important new potential avenue for therapeutic development,” Geschwind said. The study’s other authors are Vijayendran Chandran, Kun Gao, Revital Versano and Hongmei Dong of the UCLA department of neurology, and Maria Jordan of the UCLA department of physiology. The research was funded by the Friedreich’s Ataxia Research Alliance, the Muscular Dystrophy Association and the Dr. Miriam and Sheldon G. Adelson Medical Research Foundation.